Atopic dermatitis is the most common type of eczema. Atopic dermatitis (AD) is a common inflammatory skin disease predominantly affect young people. It is hereditary, typically starts early in life, and is often associated with allergies. It presents with red, inflamed skin accompanied by intense itching and impact on quality of life for patients. Now, you can treat your Atopic Dermatitis at your home or clinic with UV Comb which is efficient and convenient. UV Comb has been well proven in many clinical trials for the treatment of many common skin conditions like Atopic Dermatitis/Eczema, Vitiligo, Scalp Psoriasis, White Patches Treatment and many such. 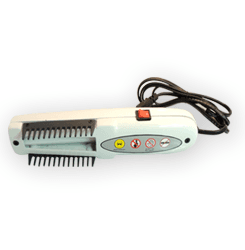 UV Comb has become a popular treatment of choice for Atopic Dermatitis treatment. Treatment process is noninvasive and yields effective results. How UV Comb works for Atopic Dermatitis Treatment? 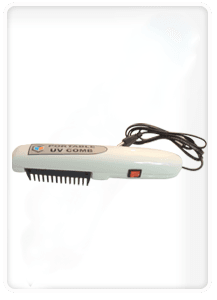 UV Comb has great importance and has been identified that Atopic Dermatitis can be effectively treated with it. But, how? Here, you go! UV light therapy is an innovative option to effectively treat Atopic Dermatitis and many types of skin disorders. UV light works to suppresses skin inflammation and restores the balance of the skin immune system and clear away rashes, dryness or depigmentation. It prevents the forming of skin lesions by breaking the connections between the skin cells and immune cells. UV light stimulate the healing of skin infections and injuries.